Some would sneak out of the bedroom to have a bar of chocolate or a decent pint of ice cream. Others would have a bag of cookies or even prepare themselves a hearty sandwich. These are some of the common food chows people eat if they would have a midnight snack. I never have cravings for a midnight snack, and if I would have one, I would go for a super bowl of “goto”. I don’t know the English word for goto. 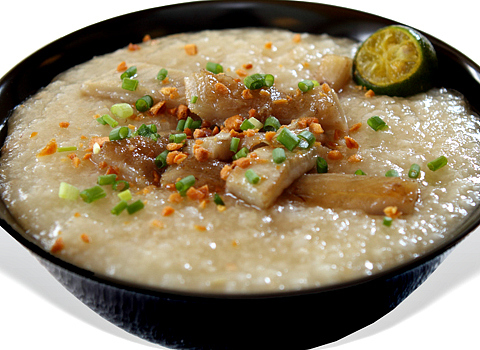 But it’s a hot rice porridge with meat innards (usually ox tripe and intestines) topped with chopped leeks, toasted garlic and a squeeze of the ever versatile calamansi fruit. Psychology reveals that patterns for adult food choices is based on childhood influences, socio-economic life course and obviously the physiological state of hunger. I believe on all these three factors. But my choosing goto as a midnight snack is based on the first. My childhood influence. This is basically because of my father. 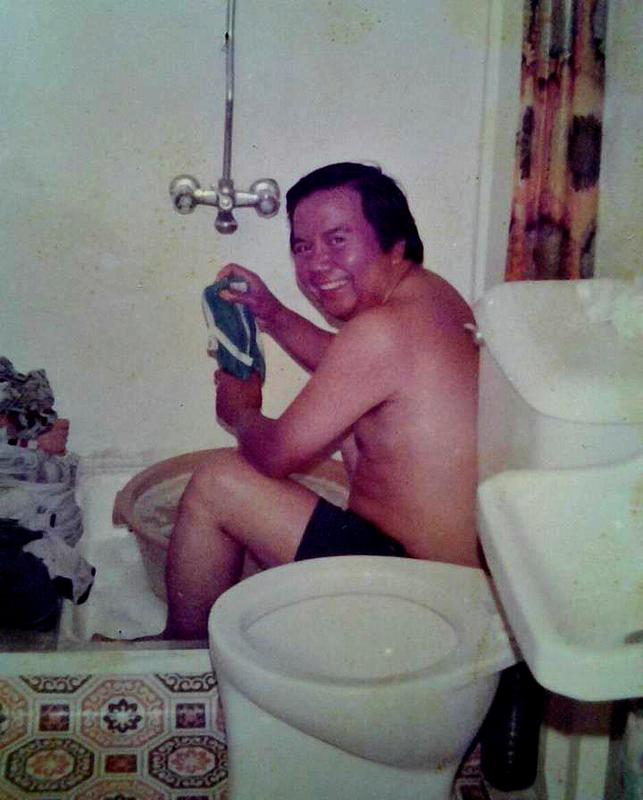 a true dad knows how to and not ashamed to do the laundry… happy father’s day tatay! During my days living in Pasay, my father religiously fetched Nengkoy from work when she would render overtime reaching until the wee hours of night. Before my parents would head home, they would drop by a goto store to purchase this superb rice soup. And when they would arrive home, both would wake up all of us (their children, including the maid) so as to enjoy the tasty goto. Heavy-eyed, lethargic and drowsy, I would slurp a mouthful which would definitely wake me up. This has become a very long habit of my family in Pasay until my father has gone sick and Nengkoy retired from work. Now that I am an adult, has lived independently from my family and my father has gone to heaven, today’s Father’s Day I guess would be so nice to have a midnight snack. Definitely, that would be some big bowl of hot delicious goto. Ano nga ba inglish sa gowtu?